If you’re looking for top digital marketing software, here are reviews of the best SEO tools, social media and web analytics platforms, and websites to help you develop your content. For companies seeking an improvement in their online marketing in 2018, some or all of these free and paid-for software packages should be part of your tool kit. Most serious websites, large and small, have Google Analytics installed. This tool sets the standard for helping site owners to monitor their traffic and conversions. Anyone seeking to understand what is working in their digital marketing should have analytics software to give you data on visitors from organic search, social media, advertising and direct traffic from people who already know about you. Page by page analysis of your website with easy to use graphs and charts will help you to see which pages are performing and which are not, so that you make continuous improvements to the visitor experience. Analysing your sources of traffic will help you uncover the best return on investment (ROI) of your various marketing efforts, allowing you to place more budget and resources into the channels that bring the greatest revenue to your business. Why is this the best web analytics software? Because it’s free for most sites! You should have Google Analytics running as soon as your site goes live, so that you can track progress – it’s a no-brainer this one. Visit www.seranking.com to learn more about SERanking, which is our top digital marketing software tool for SEO research, competitor analysis and rank tracking. We’ve been using Moz Pro (formerly SEOMoz) for a number of years now, and it’s an essential part of our digital marketing toolkit. A core feature of this suite of digital marketing products is its keyword ranking checker, which is a fundamental part of any SEO (search engine optimisation) strategy. While you could check rankings manually or use downloadable keyword tracking software, the problem with those would be that Google delivers personalised results based on your browsing behaviour. Therefore, what you see will likely be massively skewed in favour of the sites you visit and work on. Clearly, this is not a reliable method for analysing ranking progress and reporting to clients. Moz gets round this issue by making checks from multiple servers at various locations, running in the background over the course of each week. You can also set it to check results in various target countries, or even local cities. This way, you get a much better customer-eye view of how you are ranking. Another key product within the suite is Open Site Explorer. As link building is an important part of an SEO campaign, this analysis tool helps you to understand the backlink profile of your competitors and find which website are likely to be useful places to advertise for traffic growth or request a listing to potentially boost your SEO. As the world of digital marketing is constantly changing, so does Moz, and its suite has grown to accommodate the latest needs, such as social media analytics and content marketing research. 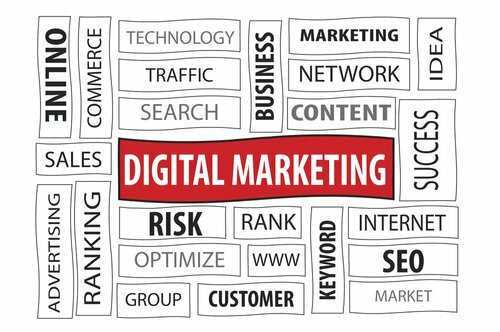 For those interested in learning about SEO or social media techniques, strategies and best practices, there are digital marketing training guides and busy advice forums to help you get started or improve your skills. The web is becoming much more visual focused and images in social media content is now a key part of standing out. Creating and editing images used to be both time-consuming and expensive to do well, using paid-for software such as Adobe Photoshop. A number of free, online image creation tools are now available, and Canva is one of the best and easiest to use. As well as giving your a number of free and low cost background images and overlay fonts to use, you can upload your own images and edit them to the size needed for web pages, blog posts or social media. To make things easier, the most popular image sizes are already pre-defined in Canva, so you just pick the social media channel you are editing for, drag and drop your image to the desired position, and download the image – that’s it! In early 2014, it was reported that nearly 37 million self-hosted websites use WordPress, with a similar number of blogs being hosted at WordPress.com. Over 50% of the world’s website that used a CMS (content management system) were running WordPress, meaning that it is the platform of choice for modern websites. One of the key reasons for the success of WordPress is the fact that it is open source, meaning anyone can access and build on the core code of the software. In addition to the main WordPress team, a worldwide community of developers have been able add tends of thousands of useful plugins to increase its digital marketing (eg countless SEO and social sharing add-ons) and usability features all the time. Using a less well established website builder or blog platform where the software and hosting are a single, locked-down package is kind of like building on someone else’s land. What if that company went out of business? By having a blog or website using WordPress as your CMS and hosting it yourself at any reliable host, you have the security of using a growing platform that’s unlikely to disappear any time soon and very likely to get better for many years. You can also move your data or whole website if you need to and get the help of one of tens of thousands of WordPress developers in almost every country. There are a number web-based tools around to help you with competitor website analysis and online market research. These include Compete.com and Alexa.com to mention just a couple of the most popular. However, SimilarWeb seems to have been gaining a lot of ground over the last couple of years and is emerging as a one of the most valuable digital marketing software packages because it is easy, attractive – even fun to use. I personally have it installed as a browser toolbar extension to give me at a glance data on the search presence, traffic estimates and related sites to the website I am analysing. SimilarWeb is also keeping pace with the market by giving useful mobile app analytics. It’s a powerful business intelligence tool, useful enough for large corporations, but with pricing starting low enough for small companies to use it as well.